The concept of “Africa Feeding Africa” is inarguably the only way the continent can best feed itself and transform its economies by targeting agriculture as a source of wealth and job creation. 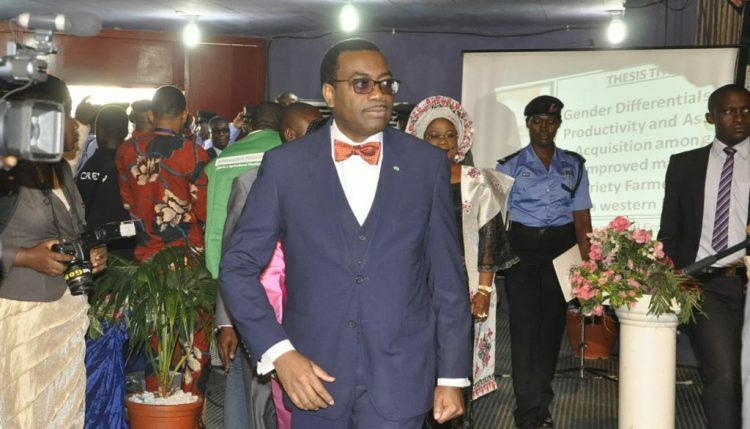 For the realization of these laudable goals, “Africa Feeding Africa” is a new and core priority of the African Development Bank, as encapsulated in the High 5s of its current President, Dr Akinwunmi Adesina, for agricultural growth. Dr Akinwunmi Adesina, President AFDB. At the High Level Conference on African Agricultural Transformation held in Dakar, Senegal, in October 2015, graced by leading agricultural experts from Africa and beyond, development institutions, research agencies, private, financial institutions, academia, and the civil society, 18 central themes, seen as critical for revitalizing African agriculture, were identified. The discourse coalesced on developing agricultural commodity value chains as a critical component of the agricultural transformation strategy, coupled with access to credit and technologies. However, the Bank later identified eight priority agricultural value chains relating to rice sufficiency, cassava intensification, Sahelian food security, Savannas as breadbaskets, restoring tree plantations, expanding horticulture, increasing wheat production, and expanded fish farming. The Bank then requested a response from the CGIAR centers, FARA, AVRDC, Africa Harvest, and others concerning their combined ability to respond to these challenges and opportunities to transform agriculture in Africa through the Technologies for African Agricultural Transformation (TAAT) program within the shortest possible time while restoring degraded land and maintaining or strengthening the ecosystems that underpin agriculture. The just concluded Identification and preparation workshop held in IITA, Ibadan, was a response to the Action Plan for agricultural transformation in Africa from the High Level conference. The objective was to execute a bold plan to achieve rapid agricultural transformation across Africa through raising agricultural productivity. 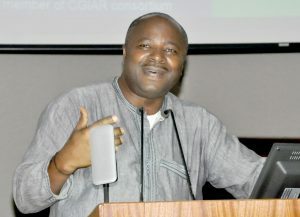 Hence, more than 200 research and development partners and experts met at the International Institute of Tropical Agriculture (IITA), Ibadan, Nigeria, in a three-day workshop to discuss the new initiative known as “Africa Feeding Africa”, or the Technologies for African Agricultural Transformation (TAAT) program. The TAAT program is a critical strategy for transforming agriculture on the continent that would ensure that Africa is able to feed itself through agriculture. The goal of the TAAT Program includes eliminating extreme poverty, ending hunger and malnutrition, achieving food sufficiency, and turning Africa into a net food exporter as well as setting Africa in step with global commodity and agricultural value chains. Adopting modernized, commercial agriculture is the key to transforming Africa and the livelihoods of its people, particularly the rural poor. The Forum for Agricultural Research in Africa (FARA) and the CGIAR Consortium and 12 of its 15 international agricultural centers active in Africa support this initiative by the Bank and the co-sponsors to revitalize and transform agriculture. The 12−14 April workshop was organized by IITA in partnership with the Support to Agricultural Research for Development of Strategic Crops (SARD-SC) project for the African Development Bank, which is funding this mega initiative. This initiative will be led by IITA, FARA, CGIAR, national agricultural research systems, and the Alliance for a Green Revolution in Africa (AGRA). This will involve close partnerships among AfDB, the World Bank, and major development partners to ensure increased funding for agricultural research and development along the value chains in Africa. CGIAR, FARA, AVRDC – The World Vegetable Center, Africa Harvest, and other partners will provide the technical and developmental support for the Bank’s quest of widespread agricultural transformation.